Lee Boon Ngan was a well-known oil painter in Singapore (1939 – 2017), she graduated from the Nanyang Academy of Fine Arts in 1965. She was one of a few active female painters during a period when the local art scene was primarily dominated by male artists. Lee Boon Ngan was well-known for her still-life paintings of flowers. In 1991, Lee’s oil painting “Vanda Miss Joaquim” was selected by the Trade Development Board, Singapore and presented to Mrs Corazon Aquino, the President of Philippines. In 1994 another oil painting by Lee, titled “Orchid”, was selected for the Singapore Embassy in Paris. 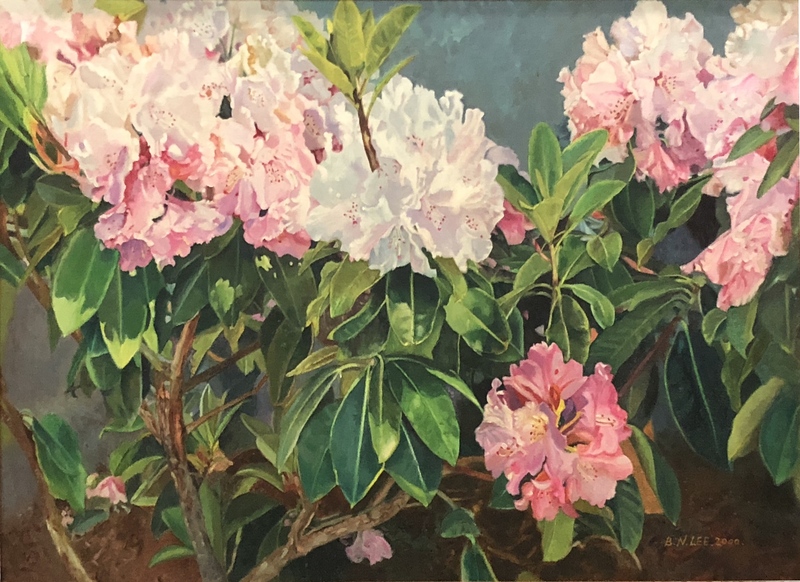 Lee Boon Ngan was a member of the Singapore Art Society and had participated in many joint and group exhibitions with artist (and husband), Mr Chua Mia Tee. 1980 “Art Exhibition of Mr & Mrs Chua Mia Tee”, a joint exhibition with her husband, Chua Mia Tee, Chinese Chamber of Commerce, Singapore. 1990 “Painting Exhibition of Chua Mia Tee & Lee Boon Ngan”, a joint exhibition with her husband, Chua Mia Tee, Hilton International, Singapore. 2000 Joint exhibition by Chua Mia Tee and Lee Boon Ngan, Linda Gallery, Jakarta, Indonesia.